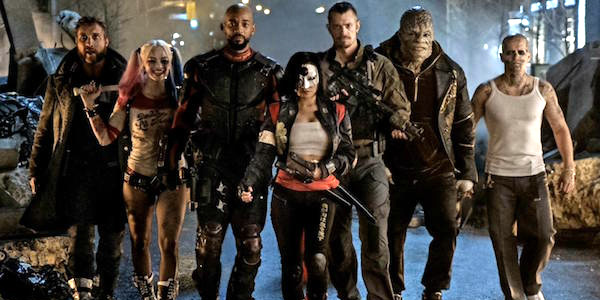 IMDB Storyline: It feels good to be bad...Assemble a team of the world's most dangerous, incarcerated Super Villains, provide them with the most powerful arsenal at the government's disposal, and send them off on a mission to defeat an enigmatic, insuperable entity. U.S. intelligence officer Amanda Waller has determined only a secretly convened group of disparate, despicable individuals with next to nothing to lose will do. 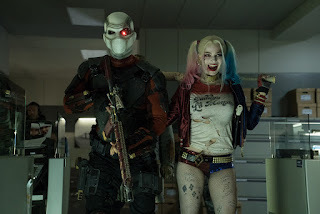 However, once they realize they weren't picked to succeed but chosen for their patent culpability when they inevitably fail, will the Suicide Squad resolve to die trying, or decide it's every man for himself? 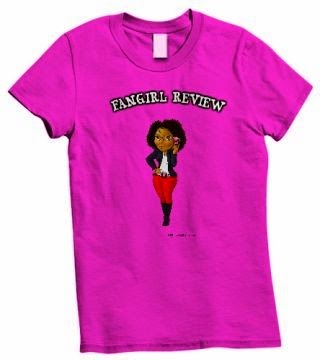 Fangirl Thoughts: The movie was overall not that bad. I enjoyed parts of it and for what it was it was a decent movie. You do find yourself identifying with the villains and maybe that should not have been the intention. I know many fans had a problem with the fact that the movie makes you feel for the characters but I think it was fine. I frankly was happy to not have a movie focused on Batman or Superman like always but damn did they name drop the two of them beyond belief. It was as if we would forget that this a DC movie. 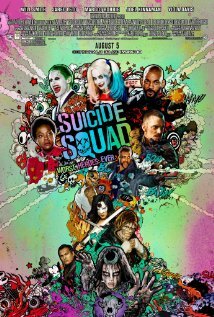 Will Smith did very well as Deadshot which was a surprise in my opinion. While he had a 70s pimp vibe to the character he was a great leader for the bad guys. He kept everyone in line and made sure that they achieved their objective while staying alive. Margot Robbie as Harley Quinn: She was fun as the character although at times she became annoying but that was more of how they wrote the character than the actress portraying her. I believe they wanted us to feel bad for her and that's just not who Quinn is. 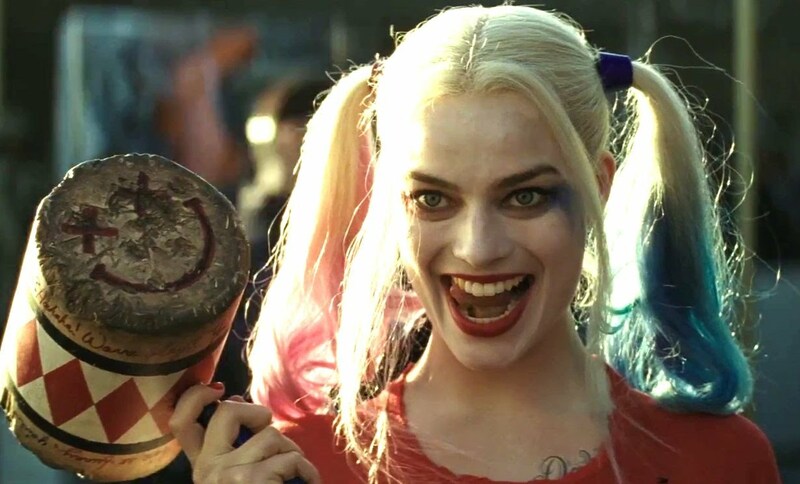 She is a different level of crazy which is why we love her but for the purposes of the movie they needed to show a different side for her so I will let it slide. 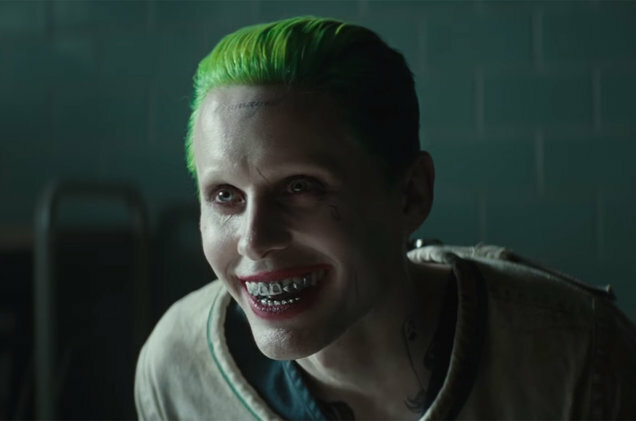 Jared Leto as The Joker - He appeared from time to time in the movie as it was not focused on him. I think every time there is a new Joker people have to feel like they must dislike the new one in order to honor the past. In this case Leto does well as pulling off the sociopathic mob boss incarnation of The Joker. He is crazy but is driven in getting what he wants. Overall I support Leto as the Joker. He was fun and while I am completely against an Affleck Batman Reboot I would stomach it better if Leto was in it. Frankly I hope DC has enough sense to make sure they keep Leto for future appearances. Honestly just don't do a Batman movie but rather a Joker movie. Joel Kinnaman as Rick Flagg & Cara Delevingne as June Moon/Enchantress - In the movie the Enchantress is the bad guy. Flagg has a love story with Moon. That whole storyline was annoying and did not sell it for me. There was something about Delevingne's performance that felt stiff and made the Enchantress hard to watch. I did not enjoy the storyline at all but oh well. At the beginning of the movie they replayed how all the villains were captured. I was discussing the movie with a friend and he made the suggestion that maybe the movie should have just been that. The whole theater was excited to see Batman and The Flash working to capture the bad guys. It was maybe the best part of the movie and maybe that's what the movie should have been. Then it could have had them fight some other character since the Enchantress was not portrayed well or could have ended with them signing on as a team and stopped there. I am sure they will make a second movie as the movie did well at the Box Office. 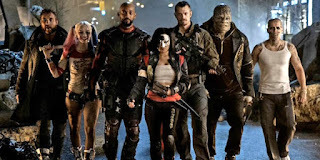 Overall I think you should see the movie since it appears as though DC is finally waking up and making sure that all their movies tie into each other. There is a post credit scene so stick around for it. I would say this is a matinee viewing. So check the movie out and let me know your thoughts in the comments.